The creation of concepts of new iPhone models and iOS versions long been common pastime among designers around the world, and spoiled the audience is already difficult something to surprise. However, designers of Sonitdac seems to have achieved this goal: they created the concept really shows us the decision that we have never encountered. 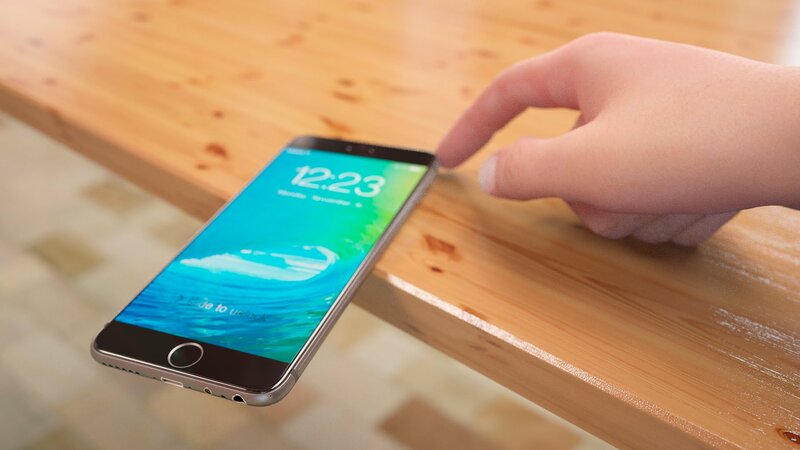 The idea obviously stems from the desire of designers to come up with such a development, which would help to save the iPhone from damage if dropped. The system works as follows: with built-in speed sensors and proximity device determines that it is in flight and close to the collision with the surface. At this point, triggers the valves and nozzles that are installed in different parts of the body, and from the phone erupt with jets of carbon dioxide gas, not allowing iPhone at high speed to crash into the floor or wall. You ask: why iPhone needs to take carbon dioxide? Designers are responsible for this in his case is a special tank, which after falling again you must refuel from a gas canister! Let’s take this time let’s not wonder about which dealers the author draws his inspiration, and just a round of applause for originality guys. Indeed, we are surprised nobody. Previous story [A letter to Cupertino] iPhone 6s 16 GB. For what?